Jamie Boult at Robert Smart Menswear York. Jamie Boult lives on Ardtornish Estate which is located on the Morvern peninsula on the west coast of Scotland. He recently graduated from Edinburgh Napier University with a BDes(hons) Product Design Degree. 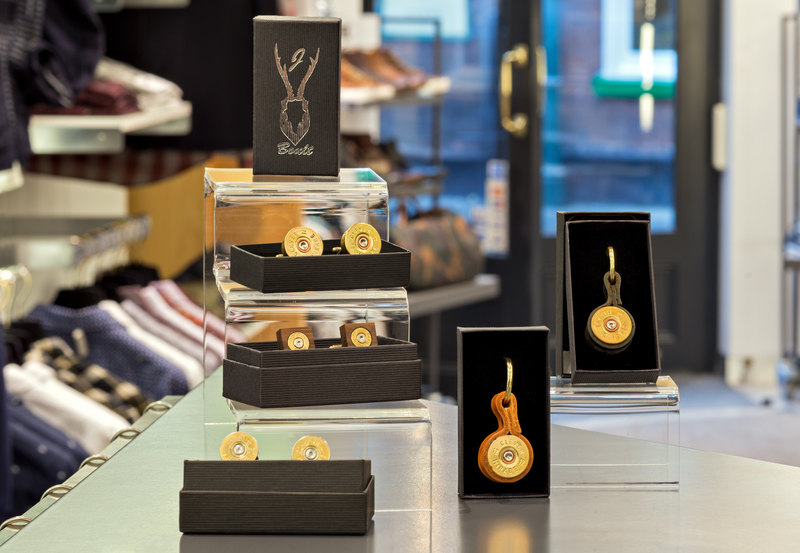 He designs and manufactures cufflinks, earrings and other products from upcycled materials, mainly used bullets, cartridges and red deer antler. All of his products are handmade by himself therefore each one is slightly unique. He takes pride in making sure every piece is made to a high standard. He started making these products as a way to help pay his way through University as the materials and bench fees for his degree were expensive. He started selling his products to shops and they sold well. In fact they sold so well that now that he has graduated and is running his business full time.